Ruth Brooks is the Founder and President of FCW. She has over 25 years of wildlife experience, and she is a licensed wildlife rehabilitator and registered veterinary technician. Prior to opening FCW in 2006, Ruth managed the clinic hospital for a large wildlife refuge, honing her skills and gaining experience in all aspects of running a busy center. She made the decision to open her own facility, knowing that southern New Jersey has very few licensed wildlife rehabilitators. FCW is able to provide services to the public and the wildlife of this area. Dmitry Cherkassky, PhD. is the Secretary of FCW, and obtained his Ph.D. in Computer and Information Science from the University of Pennsylvania in 2001. His expertise is in statistical decision theory. He has been involved in wildlife rehabilitation since 2001. In the past, he participated in various citizen science projects, including shorebird surveys to help track the migration of birds along the Atlantic Flyway. Currently, he is a member of the Green Team for Sustainable Voorhees. Denise Hassinger, MSc. is the Treasurer of FCW, and an adjunct faculty at Rutgers University. She recently completed her Master of Science in biology at Rutgers University—Camden where she studied the biodegradation of single-use plastics by white-rot fungi. During her undergraduate and graduate studies, she taught general biology and microbiology labs, and tutored students in ancient Egyptian hieroglyphs. Her main interests are in biological oceanography, but shares genuine conservation concerns for all wildlife. She strongly believes in educating the public about the importance of wildlife and the ecosystem services they provide. One of her goals is to change public opinions on wildlife that have been labeled as a nuisance. 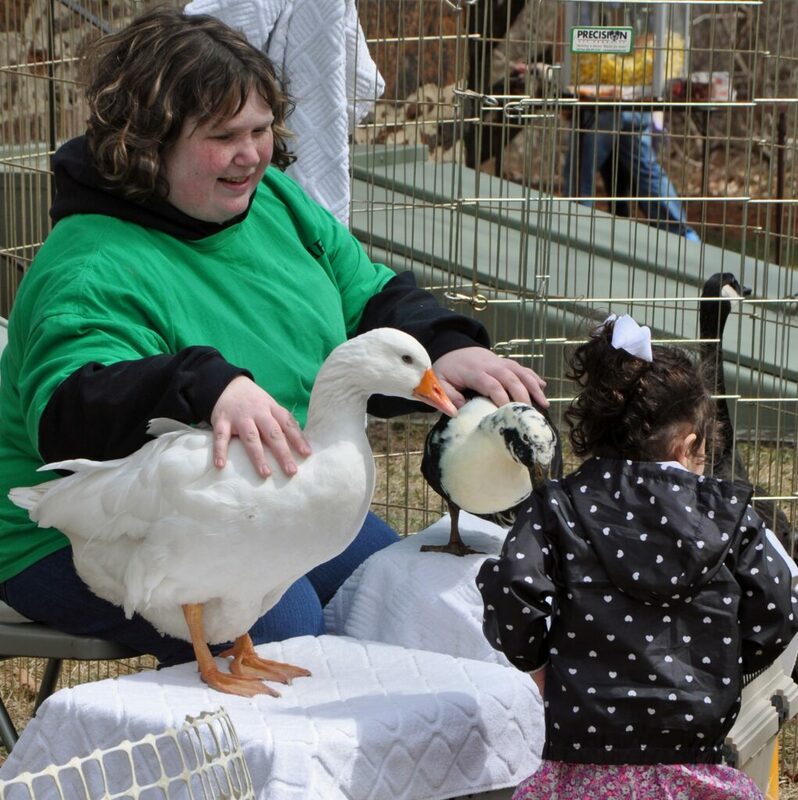 In her free time, she volunteers at Freedom Center for Wildlife in Cinnaminson, NJ helping to rehabilitate local wildlife and is a board member of the New Jersey Association of Wildlife Rehabilitators (NJAWR). In the past, she used to scuba dive at Adventure Aquarium in Camden, NJ where she helped maintain the ocean and shark realms, and inspired future generations through dive shows. Susan Reel-Panish is a registered architect with undergraduate and graduate degrees from Washington University in St. Louis. She has over twenty years of architectural experience including custom residential, school, hospital, and nursing home design. She has practiced architecture in New York, Pennsylvania and New Jersey. Susan spent a year on staff at the Philadelphia nonprofit: Foundation for Architecture. While there, she worked in the nationally acclaimed “Architecture in Education” program, and on FFA’s annual fundraiser Beaux Arts Ball. Susan came to Freedom Center for Wildlife by way of an injured baby bunny in her backyard. Susan J. Pello, VMD, MS grew up in Pennsauken, NJ and has advocated and cared for wildlife since she was young, bringing injured wildlife to the vet and local rehabilitators. Susan is a graduate of the University of Pennsylvania School of Veterinary Medicine, where she spent a portion of her senior year at LSU in their Bird, Zoo and Exotic Mammal Hospital. Following veterinary school, she completed a focused exotic animal internship at the University of Pennsylvania’s Exotic Companion Animal Medicine and Surgery Service. She also rotated at Tri-State Bird Rescue & Research. Dr. Pello is an Exotic and Wildlife veterinarian at Mt Laurel Animal Hospital. She is also the veterinarian of record for Hawk Mountain Sanctuary. She enjoys providing medical care to our rescues and education animals. Jane Jones, VMD is a veterinarian with a special interest in avian, exotic, and wildlife medicine. In college, Jane spent her summers as an intern in the veterinary department of Pittsburgh’s National Aviary. During the school year she did volunteer field research for an ornithologist studying mycoplasma conjunctivitis in house finches. As a veterinary student at the University of Pennsylvania’s School of Veterinary Medicine, Jane continued to pursue opportunities involving wildlife. She spent 1 summer working as an intern at Tri-State Bird Rescue & Research and completed 1-month externships at C.R.O.W. and Tufts Wildlife Clinic during her fourth year. Jane also published a paper on Northern Goshawks in the Journal of Zoo and Wildlife Medicine. After veterinary school Jane moved to San Diego to complete a residency in Avian Medicine and Surgery where she worked at the Avian & Exotic Animal Hospital for 7 years. Jane moved back east to be closer to family, and is excited to be part of the Freedom Center community. Lisa M. Herman was a financial services executive for 30 years prior to acquiring Wild Birds Unlimited Cherry Hill, a nature store dedicated to “bringing people and nature together.” The store is an extension of her long-held interest in the natural world and the wildlife we share it with. She has served as a Docent at a local zoo for many years, encouraging visitors to develop a greater appreciation and understanding of animals, their habitats and conservation needs. She also serves as the Vice President of Programs for the Audubon Wildlife Society. Lisa has enjoyed introducing FCW to her customers through in-store programs and is excited to be able to take a more active role in supporting the center’s mission. Katie Malcolm, PhD is an Assistant Research Professor at Rutgers University. She shares her time between New Brunswick and Camden campuses, where she teaches classes in ecology, sustainability and global change. Katie also manages the Rutgers Pinelands Field Station, a research-based facility located in the heart of the NJ Pinelands. Her research is primarily focused on soil ecology, but enjoys all aspects of nature and wildlife. Francis Osenbach, Emeritus, is a founding Board Member and comes to us with over 50 years of engineering experience and business management. He has already provided FCW with capital necessary to begin our organization, and has assisted in the construction of several animal enclosures.